Anyway, aside from being a one-of-a-kind Google collectible, this very sturdy accessory features one large zipper compartment, a smaller zipper pocket in front, two tiny zippered slots on the sides, and an elastic side pouch for a water bottle. 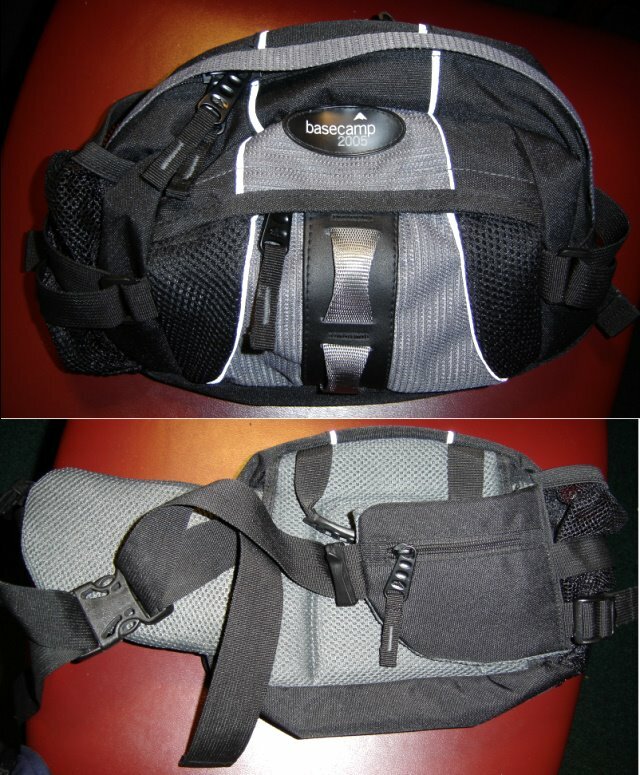 It's padded on the back, and also has a handle so you can lug it instead of wearing it. Make me an offer! FREE is a valid offer, but you still pay $5 for shipping. Y'all can thank Loren for the extra effort I'm putting into this divestment. Normally, I'd just do the lazy thing and leave it behind in the hotel room, but this is a perfectly usable item and shouldn't just end up in a trash heap. So you'd really be doing me a favor by taking it off my hands.